A pioneering collaboration between two great classical music traditions – the Indian and Western – combines the rich heritage of the sarod and string quartet. Beethoven’s famous C minor quartet is followed by an Evening Raagbased upon the Indian version of the same C minor scale, before the two are brought together in a work for sarod and string quartet, composed by the renowned sarod virtuoso Wajahat Khan. In this magical east-meets-west concert, Wajahat Khan – part of a famous 400-year old Indian musical dynasty – is joined by the celebrated Allegri String Quartet, who this year mark their 60th anniversary. 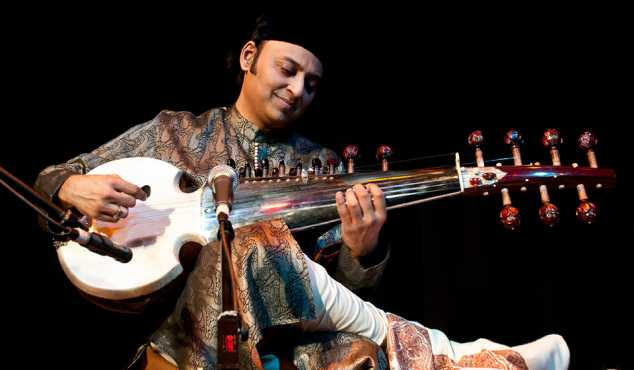 One of India’s most outstanding sarod maestros Wajahat Khan has performed in over 40 countries worldwide. Also as a composer, he has accomplished acclaimed collaborations with Western classical, jazz, flamenco and opera, including three sarod concertos with renowned international artists, ensembles and symphony/chamber orchestras, with a growing reputation as one of the most accomplished Indian musicians of his generation. He will also be accompanied by the renowned tabla virtuoso Sanju Sahai. 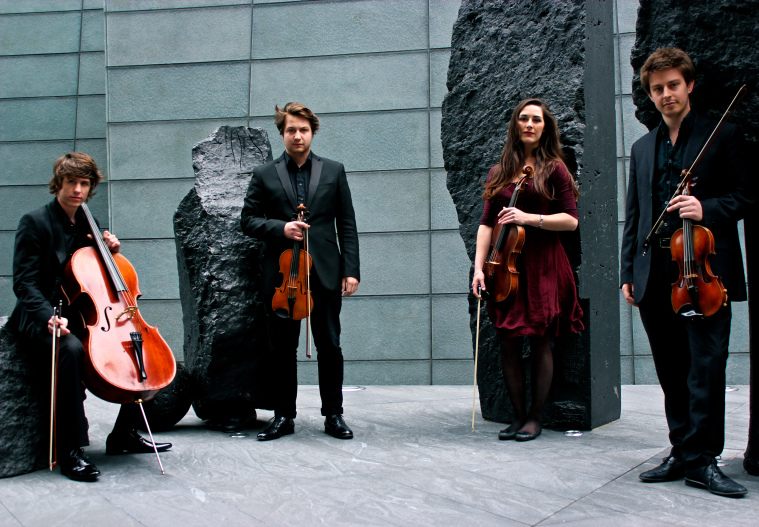 Formed in London during 2012, the Ruisi Quartet has quickly established a reputation as an exciting, expressive ensemble, delivering performances that are ‘strikingly immediate, committed and direct’ (Chichester Observer, 2014). 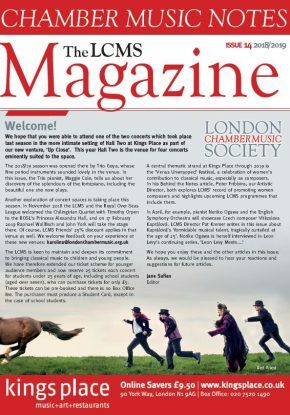 The quartet have already performed at a number of leading UK venues, including the Wigmore Hall and Brighton Dome. For the 2013/14 season, the group have been selected for the prestigious ChamberStudio Mentorship programme at Kings Place. 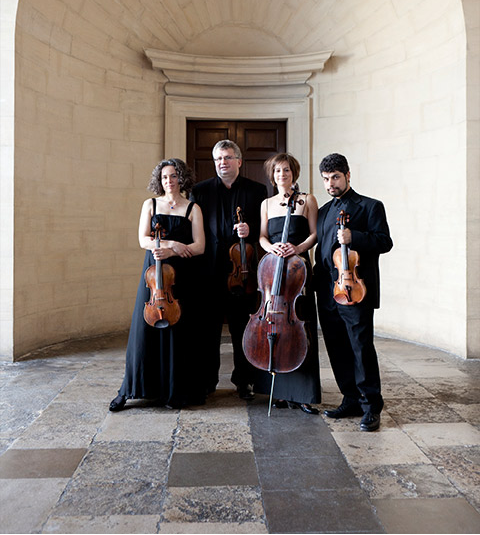 This elite scheme allows the quartet to work closely with mentor Simon Rowland-Jones, whilst also receiving masterclasses from some of the world’s most eminent chamber musicians. Most recently, the group have been fortunate enough to work with James Boyd (London Haydn Quartet), Peter Cropper (Lindsay Quartet), Christoph Richter and Richard Ireland. For the last two successive years the group has also won scholarships from the Felix Mendelssohn Bartholdy Foundation to study on week-long intensive courses with the Maggini Quartet.